Thousands join People's Climate Solidarity March in Twin Cities | Fight Back! 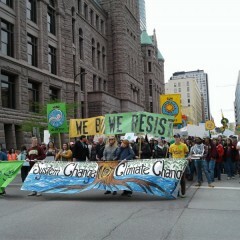 Minneapolis, MN – Thousands of people joined the People’s Climate Solidarity March, April 29 in downtown Minneapolis. The protest was one of the many taking place across the U.S. to push back against Trump’s anti-environment agenda and to demand government action on climate change.